Toon's Tunes : Free show lineup for the California State Fair 2016 announced! Free show lineup for the California State Fair 2016 announced! 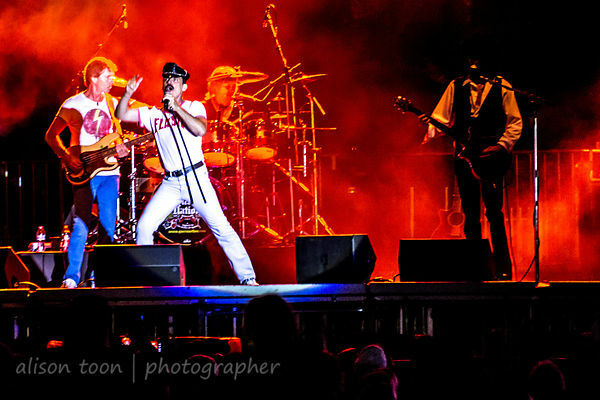 ... and once again, our favourite tribute band, Queen Nation, is on the list (see why their are faves: 2013, 2014 and 2015 reviews). Plus several more tribute bands, some oldies but goodies, country stars, and a couple of TBDs. Opening night is 8th July, with Salt'n'Pepa and Spinderella; the concerts are every night of the State Fair, until the closing evening of the 24th (which is a TBD). Here's the lineup so far: keep an eye on the California State Fair music page for updates to the TBAs! Thanks for the nice words, Alison! Looking forward to rockin' out with you again!